After a long monotonous winter, who does want to wake up to a well-groomed lawn where chirping birds hover above the yard? The yard that has glistening lush-green grass cut to perfection, embellished with spikes of veronica, sage, with star like asters grouped with colorful daisies, bulbs of daffodils, and peonies releasing sweet fragrance to lift you mood. Evidently, it takes a lot effort to have such landscape. 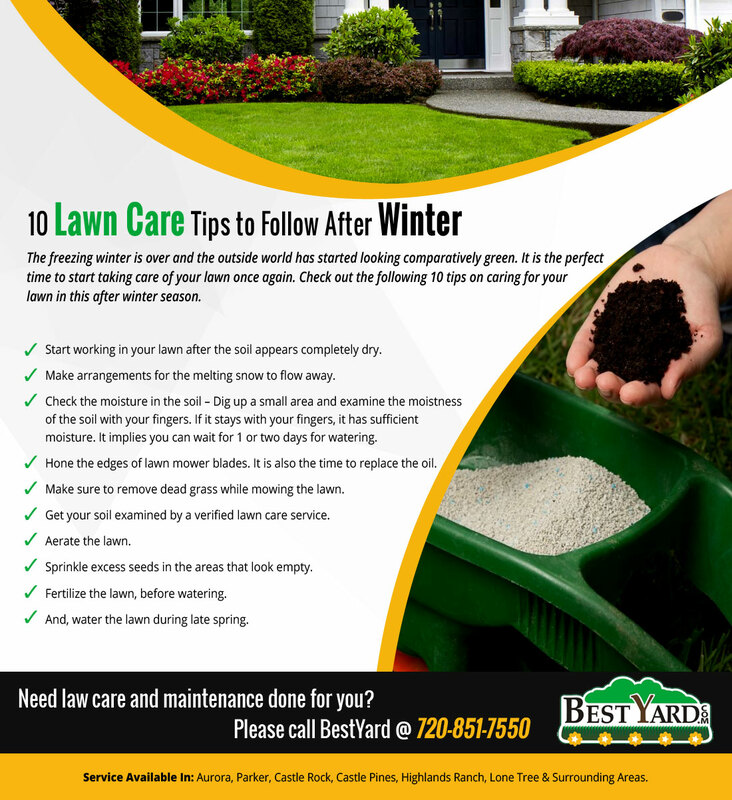 At BestYard.com, we know better from our vast experience in mowing service, lawn care, and landscaping, what the starting points for a great looking garden are after winter. Follow the tips given below, and get your dreamy landscape that will bring pleasure to your senses.